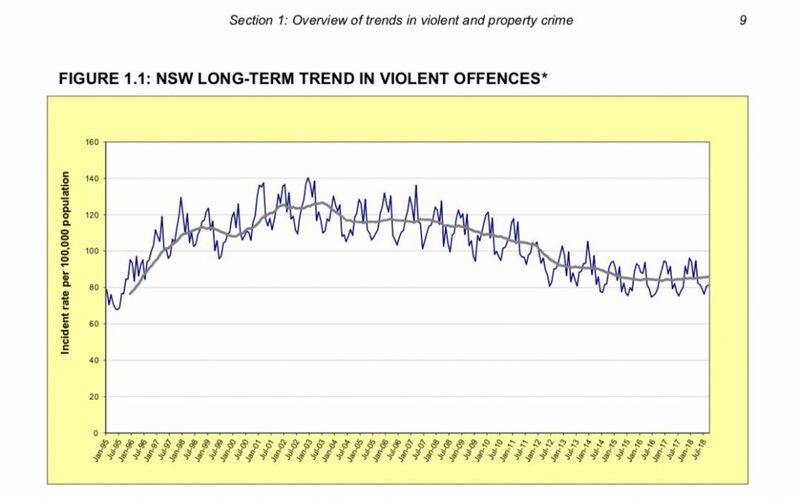 The Bureau of Crime Statistics and Research has today released their latest report showing that all major criminal offences are falling or stable across NSW. The NSW Liberals together with the support of the Labor “opposition” continue to throw billions of dollars of public money into funding a failed and flawed law and order agenda. “When the data shows that crime is going down we must reassess money this Government has committed to funding their flawed law and order agenda. “It makes no sense that our prison population continues to grow and that we’re spending $3.8 billion on new prisons and paying for 1500 new police. “For decades public policy and the evidence on crime have drifted apart in NSW. “This money would better be spent helping children in need by providing early intervention in our child protection system, funding community programs and protecting our environment. “This data should cause a radical rethink in the billions of dollars we have spent every year on more police, longer court lists and more prison cells. “Announcing more jails or police might play well in the tabloids, but it’s making us less safe because it’s diverting funds from justice reinvestment projects that we know make communities stronger and safer. “For over two decades the NSW ALP has championed law and order policies, despite the evidence. We hope this report will be a wake up call to all parties in the NSW Parliament. “We are calling on the NSW Government to immediately reassess their funding priorities given this data,” Mr Shoebridge said.